By now I’m sure you’ve heard of the AirTV Player. It’s the streaming box that lets you watch free over-the-air TV. By itself, that’s a neat little trick. But, there’s so much more. AirTV Player also lets you integrate with the Sling TV service, to get an experience that’s a lot like regular pay TV but at a fraction of the price. My favorite part of the AirTV Player is that you can use it to do as much, or as little, as you want. You can do it all on your schedule and add or remove features whenever you want. 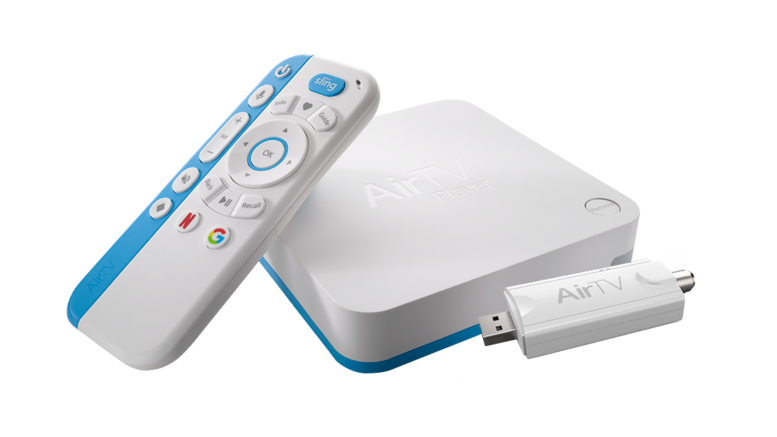 Hooking up the AirTV player gives you a TV guide and free TV channels. That’s going to be a lot better than your TV which probably has a very weak TV tuner and no guide. Plug in almost any flash drive or USB hard drive (larger than 50GB) and your AirTV turns into one of the best dual tuner antenna DVRs you can get. Setup is easy and you can even search for shows by voice. For just a few dollars you can add a programming package from Sling that gives you national TV channels and DVR with a real guide. It’s all controlled from the same box and your antenna TV channels are in the same guide as your national channels. …and then you can add apps. Apps, you say? Maybe you’re one of those people who hasn’t tried Netflix or Hulu yet. Maybe watching TV that way just doesn’t make sense to you. I hear you, but when you are ready to do it, the capability is all there for you! If you have an android phone or an email address @gmail.com, you have a Google account. If you don’t, go to gmail.com and sign up. You really don’t ever have to use the free e-mail account but if you do you can get all sorts of features like an online calendar and lots of email storage so you don’t have to ever delete anything. Obviously you have this. I can’t imagine anyone getting to this point in the article without having an AirTV Player. But if you don’t, get one now at Solid Signal. Press this Diamond button on your remote if you want to look at the apps you can get. If you just want Netflix, press the big N button. Arrow down untill you see apps. As you can see some of them are already loaded. You can watch YouTube Videos and Netflix without doing anything. 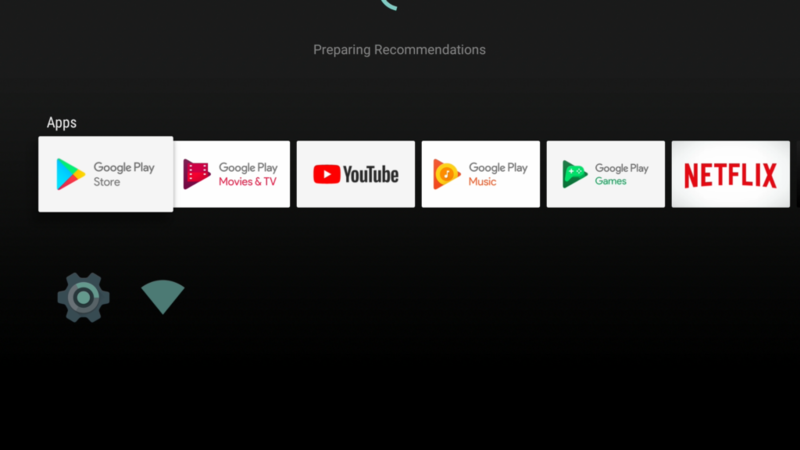 But, if you want something more, highlight “Google Play Store” and you can look at all the available apps. If you haven’t signed in with your Google Account information yet, you’ll be prompted to. There are thousands. You can add Hulu, which gives you plenty of classic TV and movies. There’s MLB for live baseball, HBO NOW for original programs, just tons and tons more. Here’s a list of some you might like. If none of those are appealing, just scroll through the list because there’s something for any taste and a lot of it is free!